In New York City, the dedicated detectives who investigate these vicious felonies are members of an elite squad known as the Special Victims Unit. These are their stories. Somewhat oddly, back in September I started recording Law & Order SVU on the Foxtel Box after I flicked past during an episode and got interested in an ongoing storyline of one of the main characters. I’d watched a few episodes over the years but I was more a fan of the original Law & Order. I’ve seen all the Law & Order episodes many times now, though I always find them still great even if I have seen them before. just when you think you’re out.. The Missing – Television Tuesday. I love L&O, and also SVU. If I start an episode, I have to finish it, so that I can find out what happens. When they have L&O marathons, I need to just keep the TV off! 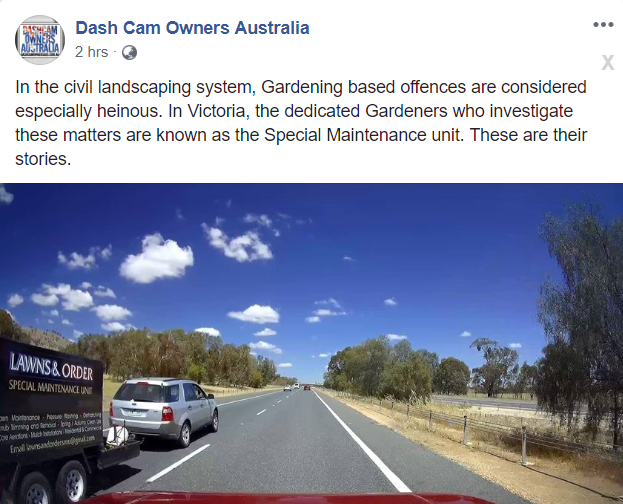 A very clever name for the gardeners. I used to watch Law&Order and SVU, but haven’t for many years now. I think I stopped when Criminal Minds started. I used to watch SVU all the time, but haven’t in years.